London’s become a hub of activity, especially in recent years with the aftermath of the Olympics still providing a boost throughout the construction industry, in and around London. If you’re a builder or just someone who wants to do some DIY while it’s popular, it’s more than likely that you’ll have to work at height at some point in your build. 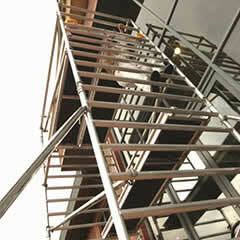 When working at height, safety is one of the most important aspects. Regardless of who you are, falling from elevated platforms still kills people every year. 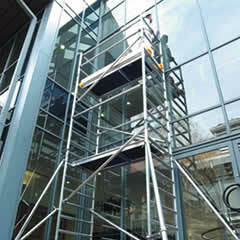 As such, every tower we hire is kept up to the HSE (Health and Safety Executive) standard. This means that you can be sure that the equipment you hire from us is safe for you to use. Our yard team works tirelessly putting all of our equipment through a rigorous inspection and maintenance programme to ensure our equipment is of this high standard. However, the safety of a piece of equipment doesn’t mean anything unless it is within your budget. so all of our prices are tailored to the different towers we offer in order to offer the best saving to you as the customer. We’ll make sure you don’t break the bank. Sometimes you might not be completely sure as to what kind of equipment you need for the task at hand. If this is the case then there is no need to worry, we have a team of PASMA trained staff who each have experience in the construction industry; they’ll be able to listen to your situation and recommend the best piece of kit for the job. 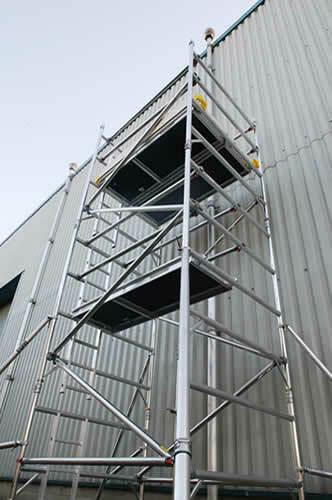 If you think that assembling and dismantling an access tower is too much like hard work then you can think again – it is so easy even a beginner can put together a tower from scaffold tower London in about an hour. Each piece of equipment comes with a basic use manual and all our towers have colour coded cup systems so you know straight away if you have assembled it correctly. If you’re out of the way, that’s not a problem either. Regardless of how remote your build is, we have a team of dedicated drivers ready and waiting to deliver the towers to you anywhere in London. If you decide you need to hire for more than three weeks, then we’ll remove any delivery costs as well. So don’t delay; now’s the opportune time to get started. Give us a call and we’ll get you exactly what you need for the task ahead.